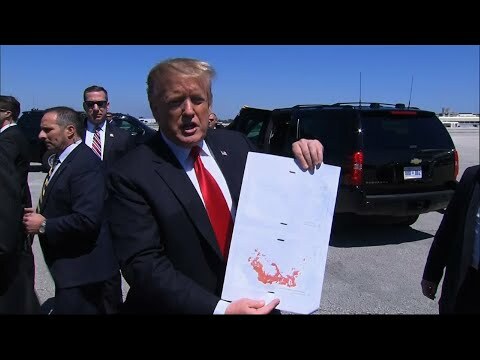 WEST PALM BEACH, Fla. (AP) — Islamic State militants no longer control any territory in Syria, President Donald Trump proudly announced Friday, though the U.S. was still launching airstrikes and sporadic fighting continued on the ground against the group’s holdouts. And American officials familiar with the situation in Syria said that the U.S.-backed Syrian Democratic Forces — who had not announced victory and weren’t planning to on Friday — were still battling remaining IS fighters who were holed up in tunnels along river cliffs in Baghouz. Another official confirmed that the U.S. launched airstrikes there on Friday and that the fighting continued to clear out final pockets of IS members.